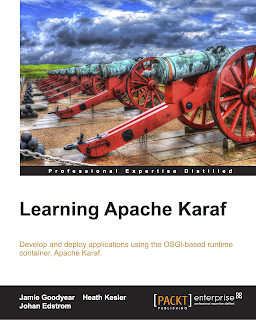 Learning Apache Karaf is now available! Johan, Heath, and I began working on this project this past summer after being approached by Packt to submit an outline for how we see Apache Karaf being introduced to developers and administrators. Several months later we arrived at out final draft after obtaining feedback from many members of the Karaf community. 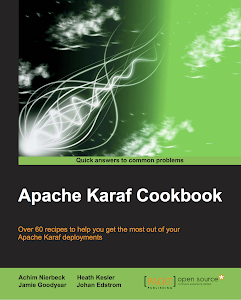 In our humble opinion, this book contains the distilled experiences of using Apache Karaf that you need to know. 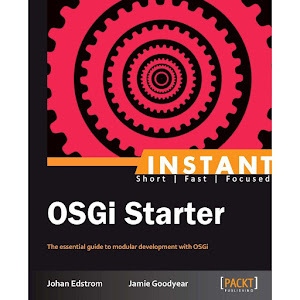 We hope that you find our approach to be concise, fast paced, and get your Karaf instance up and running as quickly as possible.